Whitenoise Pro Audio is a family business created by Jeff and Jenny White. We service clients all over Sydney and surrounding districts by providing audio, lighting and visual production for their events. Whitenoise use exclusively KV2 Audio in it's system control and speakers. Please contact today for a quote as no function is too big or too small for a KV2 system. 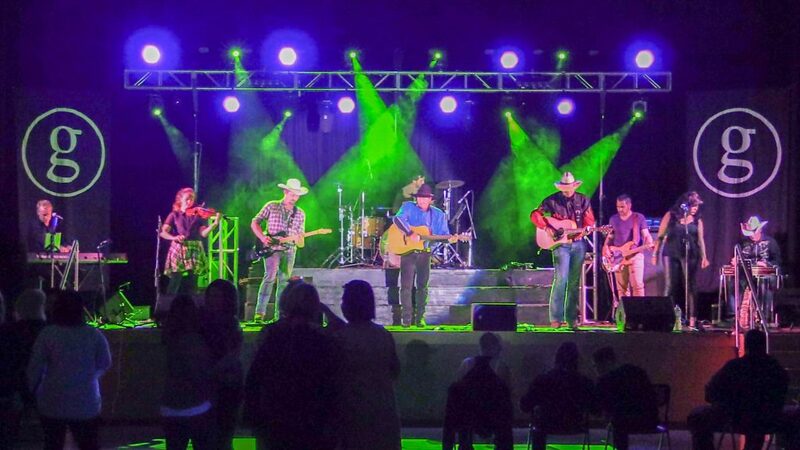 Whitenoise works with a vast array of clients including cabaret performers, country music acts, rock acts as well as school and charity events including the annual Menai carols by candlelight and Goulburn Carols of Hope. Whitenoise now provides 15 x P6 LED screen panels which can be configured in any shape desired. This coupled with a Roland switcher box means content can be swapped between live camera feeds and laptop presentations smoothly and accurately. Jeff has been working in the live production arena for over 20 years. In that time he has done close to 300 shows of all sizes and complexities ranging from pub/club shows to outdoor festivals. Jenny is an avid amateur photographer who captures each acts performances with an exceptional eye for detail. Her photos and videos can be seen on our facebook page. 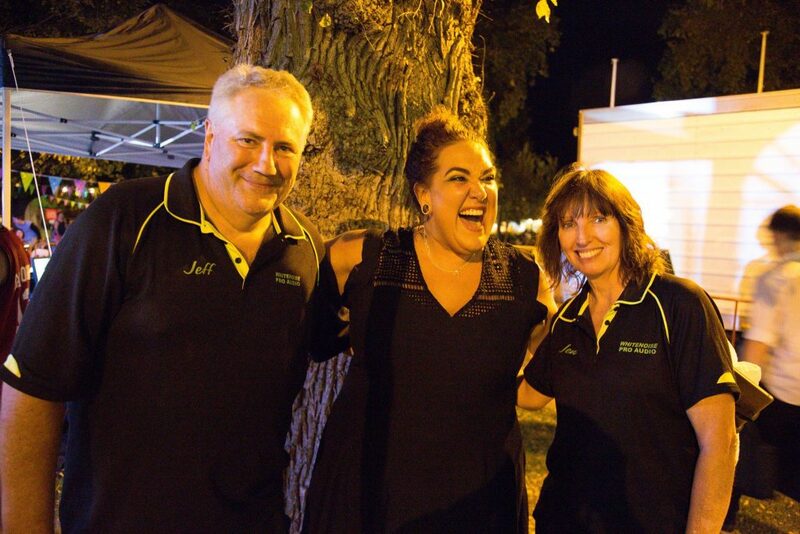 Here below they are pictured with Casey Donovan, winner of the 2004 Australian Idol and the recent tv series, I’m a celebrity get me out of here.